Adams Carpet Care proudly provides carpet cleaning in Cary NC. Our residential and commercial services are a favorite in Cary, especially with the comfort of our 30 day guarantee (if spots come back in 30 days, so do we!). We will come to you in Cary and clean on site or pick up and deliver your clean rugs. We clean tile & grout, as well as area & oriental rugs and upholstery. We use a truck mounted steam extraction process for cleaning that is environmentally friendly; therefore you never have to worry as these products are biodegradable and safe for kids and pets. 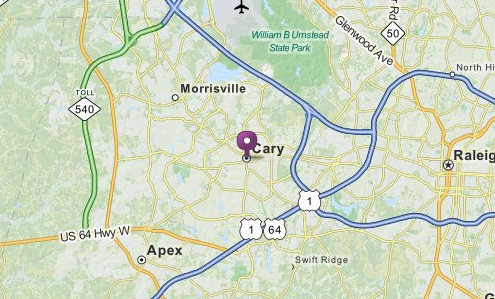 Cary NC, named #55, Best Places to Live by Money Magazine in 2012 is loved by many residents due to the excellent neighborhoods, safety and proximity to RTP and Raleigh. Our cleaning services are offered to customers in zip codes 27511, 27512, 27513, 27518 and 27519. Businesses also thrive in Cary due to the proximity to several universities and the state capital and have used our commercial cleaning services for years, to great success.